Welcome to the University of California - Davis Fire Department website! It is my pleasure to represent all of the dedicated men and women who proudly serve and protect UC Davis. We continuously strive to maintain our services to ensure a high quality of life by providing a safe community for all of our students, staff, faculty, and visitors. At UC Davis, the Fire Department is a vital part of providing for the safety of our community. We accept and embrace this challenge with vigor and commitment. As the world evolves and our University grows and matures, our mission has also developed, to one that is not merely confined to “traditional” fire services. Therefore, our mission statement reflects a corresponding need for our fire department to think and operate in a more encompassing manner. 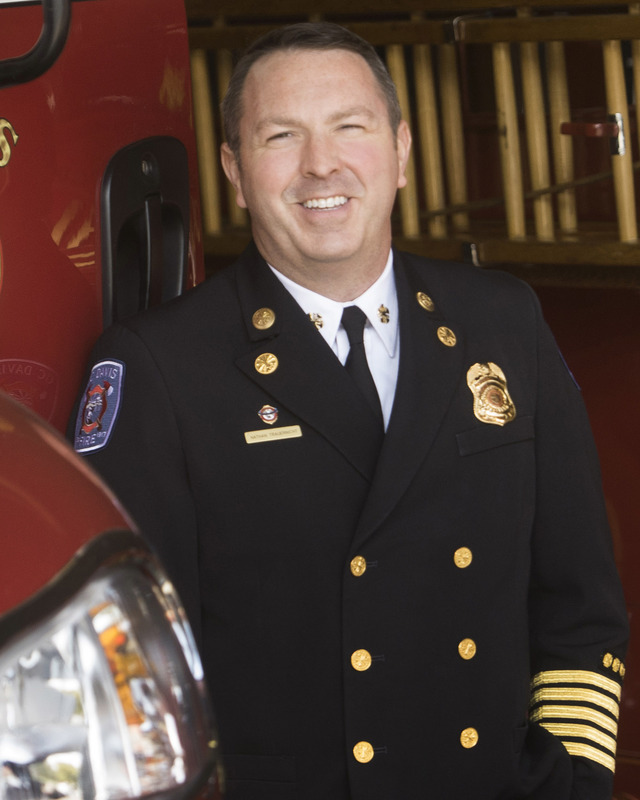 It is a privilege to lead a progressive, customer-driven fire department that continuously works hard to meet the fire, medical, and emergency needs of its community. We do this through the dedicated efforts of some of the finest and most compassionate professionals in the industry. Once again, welcome to our website. Enjoy, and please contact us if you have any questions or have suggestions for improvement of our services to you.